The Blue Ridge Parkway isn&apos;t only one of the most scenic drives in the world - it also features many fantastic hiking trails. When you travel along the Blue Ridge Parkway through Virginia, there are endless opportunities to stop and take in the incredible beauty and peacefulness of the surrounding mountains and valleys. Many of the hiking trails lead to breathtaking peaks and views that offer a different perspective than what you&apos;ll find from staying in the comfort of your vehicle. 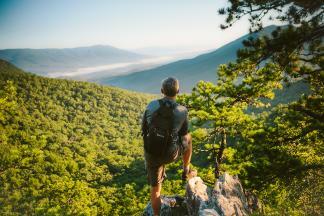 For those with a more adventurous spirit, which is highly encouraged in the Roanoke Valley in Virginia&apos;s Blue Ridge Mountains, a hiking trail is a welcome activity when spending time on the Blue Ridge Parkway. The trails along the Parkway help make up the over 600 miles of hiking trails in Virginia&apos;s Blue Ridge! 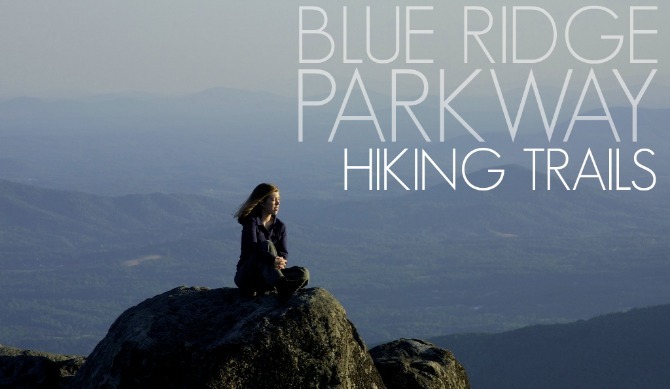 The following is a list of the hiking trails located on the Blue Ridge Parkway in Virginia. *Mileage indicates the length of the trail one-way unless otherwise noted.